It's always a pleasure to introduce a new Australian author... and here with her debut novel THE STATIONMASTER'S COTTAGE is Phillipa Nefri Clark. ​Betrayed, heartbroken, proud... she ran into a deadly storm. Christie Ryan’s life is everything she hoped for. An exciting job, exotic travel, a waterfront home and a fiancé, Derek, are the pieces that make it almost perfect. Finally she has the stability and love she craved throughout her childhood. But the death of her estranged grandmother threatens everything. Christie finds herself in an abandoned cottage in a small seaside town, uncovering a family mystery through old love letters. She seeks help from reclusive artist Martin Blake, but their aims clash. As the secrets of the past begin to unravel, however, so does Christie’s safe world. The Stationmaster’s Cottage is a rich and beautiful romance set in two eras. Its unforgettable characters weave a story of fiercely protected secrets, courage, redemption, and everlasting love. ​Phillipa Nefri Clark lives in regional Victoria, Australia with her husband, two sons, and a gorgeous black Labrador. Animals, art, gardens, music and family are amongst her greatest loves. Her published work includes many non-fiction expert pieces about dogs, three international specialist dog yearbooks, newspaper articles, and science fiction fanzine stories. The inspiration for The Stationmaster’s Cottage came from the real life cottage nearby, a childhood spent in coastal towns, and the poignant reunion with her sister after a lifetime apart. 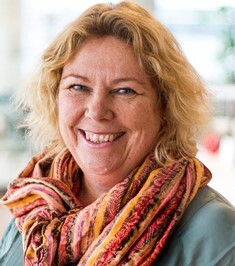 Phillipa is a member of Romance Writers of Australia. To connect more with Phillipa and her writing, visit https://www.stationmasterscottage.com. This is a shout out for the release of the 'boxed set' (the digital box!) of the three Guardians of the Crown books: BY THE SWORD, THE KING'S MAN and EXILE'S RETURN. The three books span the 'Interregnum' (the years 1650-1660) and concern the fates of three young men, bound by a friendship born on the battlefield of Worcester (3 September 1651). They will pay a heavy price for their loyalty to the King, Jonathan Thornton (BY THE SWORD) will be a hunted man in his own country, Kit Lovell (THE KINGâS MAN) will sacrifice his honour to save someone he loves and his brother Daniel (EXILEâS RETURN) will endure years of imprisonment, torture and slavery. Their only hope is the restoration of a monarchy. And of courseâ¦ the women who love themâ¦ Kate (BY THE SWORD), torn by her loyalties to the parliamentary cause and the man she loves, Thamsine (THE KINGâS MAN) abandoned, penniless and friendless on the streets of London and Agnes (EXILEâS RETURN) whose love for her sisterâs children will drive her to risk everything to save them. If you would like to explore this fascinating period in history, I am offering a copy of my time travel romance SECRETS IN TIME to any readers who wish to sign up to my newsletter. The offer remains open until 30 June. Just click the button below! 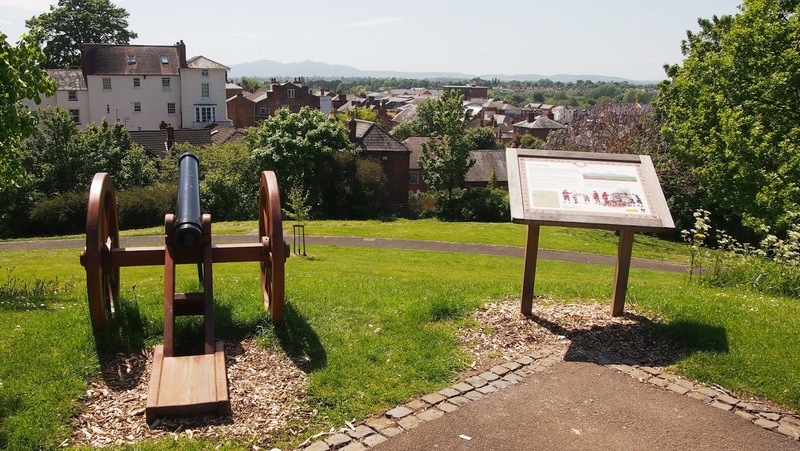 The 3rd September marked the 364th anniversary of the Battle of Worcester, the defining event of the Guardians of the Crown series which begins with the battle itself (BY THE SWORD). My family has had a long, long association with Worcester, most notably boasting a High Sheriff of Worcester (my great grandfather) and a well respected MP and County Councillor (my grandfather) and my father served under the colours of the now defunct Worcestershire Regiment. In May this year I returned (or, in a sense, went home) - on a canal boat (a whole other story!). 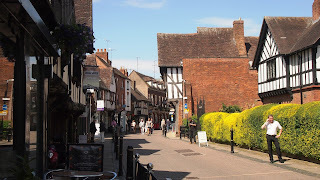 My last visit to Worcester had been some twenty plus years ago when I was researching a little story I was writing about the Battle of Worcester. That little story became BY THE SWORD... which flowed on to THE KING'S MAN and on to Book 3, EXILES' RETURN (which comes out next February). 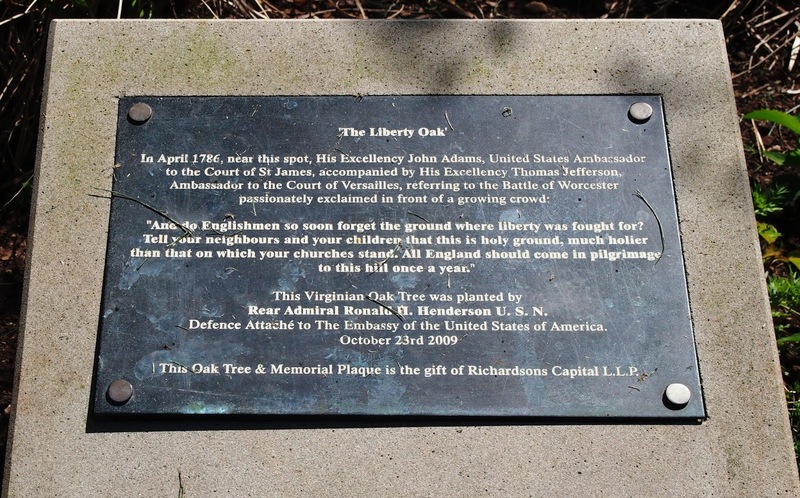 I wanted to write about a group of friends/comrades and what this seminal battle of the English Civil War meant to them and their families. We moored our canal boat below the Sidbury Lock within spitting distance of The Commandery and the site of what was once the Sidbury Gate through the walls of the old city (now long since gone). Having an afternoon free, I abandoned my travelling companions and stepped down on to the tow path of the canal (which had not been there in 1651). They were waiting for me - Jonathan Thornton, Giles Longley, Kit Lovell and his brother Daniel, the Guardians of Crown, my companions from the past and they would be my guides for the afternoon. We began with The Commandery (that was its name long before the events of 1651). 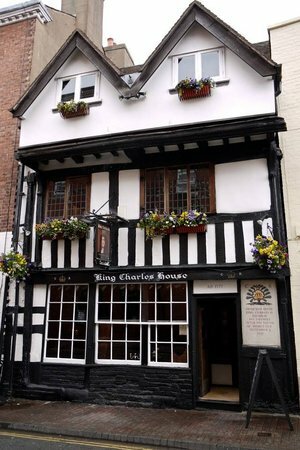 In its past it had been a merchant's house, a hospital and in 1651 became the Headquarters for Charles II. From The Commandery we set off up the hill to Fort Royal where a royalist battery had been established to defend the approach to Worcester along the Sidbury road. I won't go into the details of the battle itself (I've written about it elsewhere...click HERE). 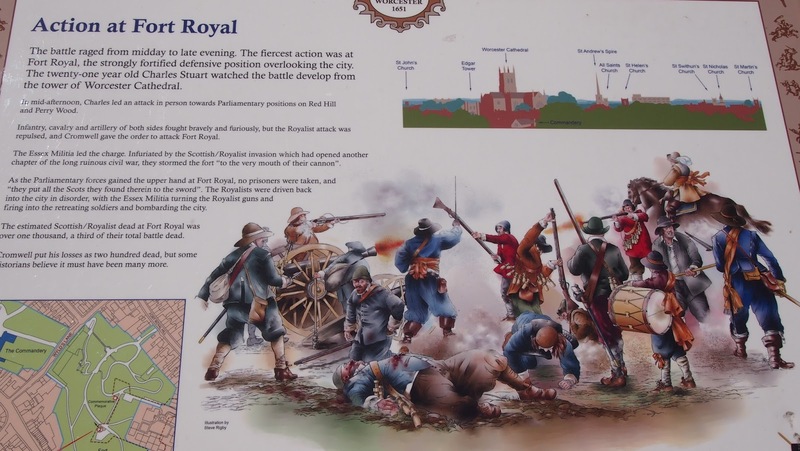 Suffice to say that while the royalists held Fort Royal, Cromwell had taken Red Hill and Perry Hill. The king himself led an attack on Red Hill but was driven back to the city. Fort Royal fell, the royalist defenders slaughtered to a man and the guns turned on the city itself. 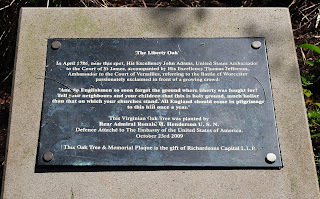 No trace of the gate or walls remain today (destroyed for the building of the canal in the 1760s), just one small plaque on a wall marks its existence. We turned into the city and down one of the last remaining authentic city streets - Friar Street (curse those 70s redevelopments!). Still lined with half timbered houses, it is only here one can still get a feeling for 17th century Worcester. It was here in Friar Street that Jonathan, Giles, Kit and Daniel lodged in a house that may have looked a little like Greyfriars (now a National Trust property). Here they played cards on the night before the battle. had been the King's Lodgings and from which he escaped. They found the King within his lodgings, watching uncomprehendingly as Buckingham burned papers on a hastily lit fire. âWe must go, Your Majesty,â Wilmot said. Here we parted company, my imaginary friends returning to the past, and I trudged back through the streets of Worcester to meet my real friends at the Worcester Porcelain museum (in what had been a thriving factory on my last visit). If you have enjoyed my Guardians of the Crown trilogy (out now as a boxed set... click HERE) set in the years of the 'Interregnum" 1650-1660, then you are going to love Traitor's Knot by Cryssa Bazos. People in 17th century England weren’t as illiterate as you would expect. By the end of the century, it was thought that just under half of all men could read and over a quarter of women. Amongst the middle class, the majority was literate. This is the century when diary writing became a fad, and we’re still benefiting from their self-expression. But these estimates might not reflect what was really happening on the ground. The significant increase in literacy over the previous century correlates with the explosion of printed material that floods the market in the mid-century. Broadsheets, newspapers and ballad sheets were all being turned out in record numbers. In fact the first newspapers, (e.g. Mercurius Politicus), were propaganda machines that helped fuel the civil war. Royalist and Roundhead each had their own publications pushing their agenda and that shaped public opinion. Really no different than today. The explosion in print occurred not only because of the advances in print technology (cheaper, faster presses), but an increased consumer demand for it. Not just any consumer— looking at what was being printed, one could see that the lower to middling classes were now the new consumer. For example, following the Battle of Worcester the authorities captured the famous highwayman Captain Hind and accused him of helping Charles II escape. Leading up to his trial, Londoners were snapping up stories about him faster than publishers could produce them. One publication, the English Gusman, depicted Hind as a Robin Hood figure whose exploits could appeal to the common man. Since the lower classes were the target market for these hot new publications, it’s a safe bet that more of them could read or had access to those who could read it for them. ​England 1650: Civil War has given way to an uneasy peace in the year since Parliament executed King Charles I. Traitor's Knot is a sweeping tale of love and conflicted loyalties set against the turmoil of the English Civil War. Elizabeth Seton browsed the household stalls, strolling at her leisure. James walked towards her, his eyes fixed firmly on the prize. She hovered over a collection of linens, and her fingers brushed over the cloths, but she did not linger beyond a curious moment. James kept a discreet distance, ever narrowing the gap. One slim hand held her skirts, raising them slightly to avoid a muddy puddle before she continued on her way. He halted his progress when she became rooted at the bookseller’s. While fancy ribbons and laces had not attracted her interest, a stack of pamphlets and chapbooks made the difference. She struck up a conversation with the bookseller, laughing at something he said. James rubbed his chin, engrossed. An unusual maid, he thought, and drew closer. Leaning over the small collection, her head tilted to peer at the titles. Hair secured in a sedate knot, a wayward tendril escaped its constraint. The wind lifted and teased the stray lock, contrasting to the paleness of her nape. James fought the urge to reach out and twist the strand in his fingers. I have invited Anna back this week to talk a little bit more about the research behind her fabulous books, because all historical writers have a wealth of knowledge that may only make it into the story as a passing mention. I enjoyed seeing how Anna used it in her book. ​It is strange how some myths become so cemented in the popular imagination they take on the character of truths. Mind you, in this day of alternative facts, such things are no longer surprising—they are merely irritating. When it comes to life in medieval times, there is this preconception that people never washed—one purportedly serious site about life in castles even goes so far as to state that “until Victorian times cleanliness was considered ungodly”. Hmm. As I researched my latest book, I encountered multiple indications this is wrong. Very wrong, even. It has always been my firm opinion that most people—throughout the ages—have preferred being clean to being dirty. In many of the preceding periods, being clean was also an indication of wealth as it required a not inconsiderable amount of servants and firewood to prepare a nice hot bath in medieval times. But even those who could not afford a bath, or to change their clothes regularly, did wash face, hands and privates. Those who could afford it, went all out on cleanliness. Medieval banquets often started by the guests being offered basins of clean water in which to wash their hands. Medieval ladies and lords changed their linen frequently, and they most definitely bathed. King John is supposed to have taken a bath every two weeks, and clearly his descendants shared his fondness for lounging in hot water while someone scrubbed their backs. How else to explain the fact that Edward II had his bathrooms tiled and then complained the floors were too cold so he ordered bathroom mats to increase his comfort? Or that in 1351 Edward III ordered hot and cold water taps for his recently refurbished bathroom? I’m telling you, those medieval magnates liked a good wallow—and smelling of roses afterwards! ​Adam de Guirande has cause to believe the turbulent times are behind him: Hugh Despenser is dead and Edward II has been forced to abdicate in favour of his young son. It is time to look forward, to a bright new world in which the young king, guided by his council, heals his kingdom and restores its greatness. But the turmoil is far from over… After years of strife, England in the early months of 1327 is a country in need of stability, and many turn with hope towards the new young king, Edward III. But Edward is too young to rule, so instead it is his mother, Queen Isabella, and her lover, Roger Mortimer, who do the actual governing, much to the dislike of barons such as Henry of Lancaster. In the north, the Scots take advantage of the weakened state of the realm and raid with impunity. Closer to court, it is Mortimer’s increasing powers that cause concerns – both among his enemies, but also for men like Adam, who loves Mortimer dearly, but loves the young king just as much. When it is announced that Edward II has died in September of 1327, what has so far been a grumble grows into voluble protests against Mortimer. Yet again, the spectre of rebellion haunts the land, and things are further complicated by the reappearance of one of Adam’s personal enemies. Soon enough, he and his beloved wife Kit are fighting for their survival – even more so when Adam is given a task that puts them both in the gravest of dangers. 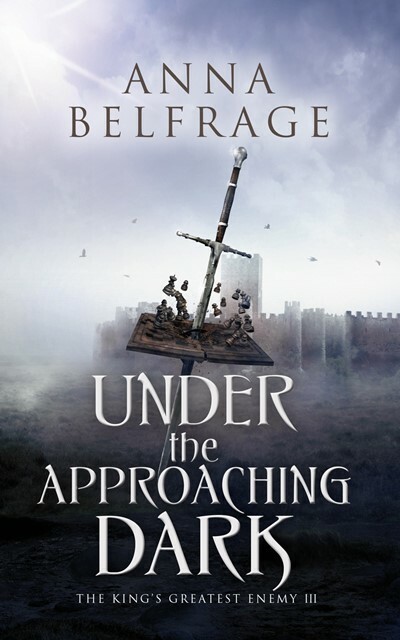 Under the Approaching Dark is the third in Anna Belfrage’s series, The King’s Greatest Enemy, the story of a man torn apart by his loyalties to his lord, his king, and his wife. ​It was well after nightfall before Kit could claim her husband for herself. Once Meg had been properly greeted, once he’d held both Ned and Harry, he’d done the rounds in the household, spent hours with William reviewing the state of his property, and had then presided over dinner, a loud affair in the main hall that had only ended when the afternoon seeped into dusk. William had insisted they all attend chapel, but when he suggested that Adam and he repair yet again to review the accounts, Kit put her foot down. “Not tonight.” She held out her hand to Adam. “I have a bath prepared for you.” Besides, she wanted to do a thorough inspection, disconcerted by the new scars on his face. Stephen added the last of the hot water to the tub just as they entered the solar. Steam rose in wisps, filling the room with the scents of lavender and roses. Kit shooed the page out, closed and barred the door, and turned to look at her husband, already disrobing in front of the hearth. She moved towards him, couldn’t resist the urge to touch him, to splay her fingers wide as she set her hands to his chest, just over his heart. Beneath her palm, she felt his heartbeat, above her fingers was a new scar, pink and hairless. “A lance.” He sounded offhand, undoing his braies. Adam sighed. “I was jousting against Lord Roger.” She listened in silence as he told her about the steel-tipped lance and how he was convinced the intention had been to kill Lord Roger. “Kill him? By your hand?” She slid an arm up to his shoulder, followed the contours of his muscled arm downwards. “And this?” She set her other hand to his face, tracing the scar along his nose, the other below his ear. “It was.” Kit’s stomach tightened in recollection. She craned her head back to look at him. “But it was worth it.” This her third son was an easy child, eating like a horse at regular intervals, in between which he either slept or regarded the world around him with wide-open eyes—grey eyes. IT IS NOT TOO LATE TO ENTER ANNA'S CONTEST TO WIN A COPY OF UNDER THE APPROACHING DARK... click the button below and scroll to the end of the post!